TL;DR: Apply to the nation’s largest student-run entrepreneurship competition. Pitch at Sequoia Capital, all expenses paid. Win $30K. 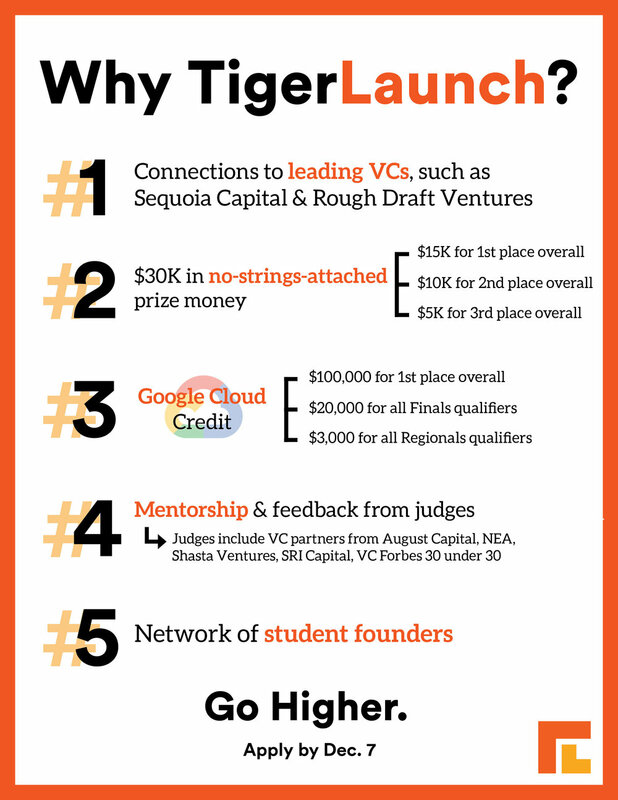 TigerLaunch, the nation's largest student-run entrepreneurship competition, is accepting applications until December 7th. If you've already started or want to start a company, TigerLaunch wants you. We'll connect you with our extensive mentor network of founders, designers, and investors, and provide you resources for success. Winners will present their ideas to VCs and win thousands in prizes. There is no stereotypical entrepreneur. Anyone, with the right amount of creativity and determination, can come up with a concept for a viable business.